I knew of the Jarrow March/Crusade in 1936, but not much about it beyond the fact that men from Jarrow in Tyneside marched from their home town to London to present a petition against the mass unemployment and extreme poverty in the north-east of England. 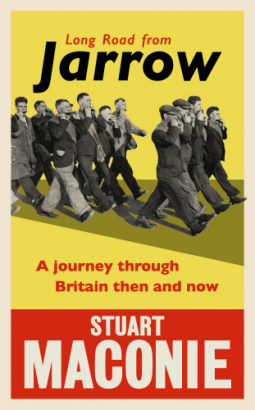 Stuart Maconie has filled in the gaps in his excellent book Long Road from Jarrow: A journey through Britain then and now. In October last year he retraced the route they took, 300 miles, comparing what conditions and attitudes were like in 1936 with those of 2016. The men were accompanied for part of their march by Ellen Wilkinson, who was the MP for Middlesbrough East and it was Ellen who presented their petition to the House of Commons. But despite their protest and all Ellen Wilkinson’s efforts on their behalf it didn’t result in any improvements for employment in Jarrow. Maconie a writer, broadcaster and journalist, writes fluently and with conviction. The Long Road from Jarrow is a mix of travel writing, social and cultural history and political commentary, with the main emphasis on the current social, cultural and political scene. 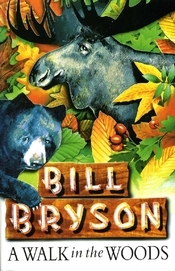 It’s a thought-provoking book that both entertained and enlightened me. Maconie writes about the past, the history of the places he walked through and the tales and reminiscences of the people he met. He also writes with enthusiasm on such topics as football and music and food. It’s a lively, chatty account that includes the thorny topic of Brexit, the current and past state of the north/south divide and considers what it is to be ‘British’. I was fascinated and thoroughly enjoyed this walk through England, past and present. My copy is an ARC from the publishers via Netgalley. We’ve been having a mix of weather recently what with wet days, windy days, dull grey days and a few beautiful sunny days. Wednesday was one of the days when the sun shone the sky was blue and it even felt a bit spring-like. So that afternoon Dave and I decided it was time we took a walk in the Cheviot Hills. We’ve lived just north of the Cheviots for nearly two years now and have been saying ever since we arrived that we must go walking in the hills. I don’t know how many hills there are that form the range, but there are many of these rounded hills bisected by valleys. They straddle the border between England and Scotland, that area of land fought over in the past, a land where the Border Reivers held sway. The Cheviot, itself is the highest point at 815 metres and the last major peak in England, but we decided to start small with Great Hetha above College Valley and work up to walking the Marilyns. After a short distance and turning right it’s a steep uphill climb described in Walks in the Cheviot Hills by David Haffey as a ‘strenuous climb‘! I was soon struggling for breath. We stopped halfway up to look at the view northwards to Scotland (and to get our breath back!). Looking up at that point we could see a small cairn on the summit, still a steep climb ahead. It was worth the climb to reach the hillfort. This is an Iron Age hillfort dating from about 500BC. The remains of the stone ramparts are still there and it was easy to imagine what it must have been like in such an isolated place, being able to see for miles around, aware of any approach to the hill. According to the Walks guidebook such hillforts would have contained several timber-built round-houses within the stone ramparts, probably being occupied for several centuries. It was getting towards the end of the afternoon and as we headed back to the car, the sheep were being rounded up in the field, below a wooded dome-shaped hill known locally as the Collingwood Oaks (after Admiral Lord Collingwood – there is a hotel in Cornhill called the Collingwood Arms, more about that another time maybe). I wasn’t quick enough to take a photo of the running sheep (they were galloping!) but I managed to snap the farmer and his three sheepdogs on their way back, with the Collingwood Oaks in the background. There are more photos of our walk on Flickr. Saturday Snapshot is hosted by Alyce, At Home With Books.